New York is experiencing an appetizing renaissance these days, with a wave of new places dedicated to the joys of bagels and smoked fish. 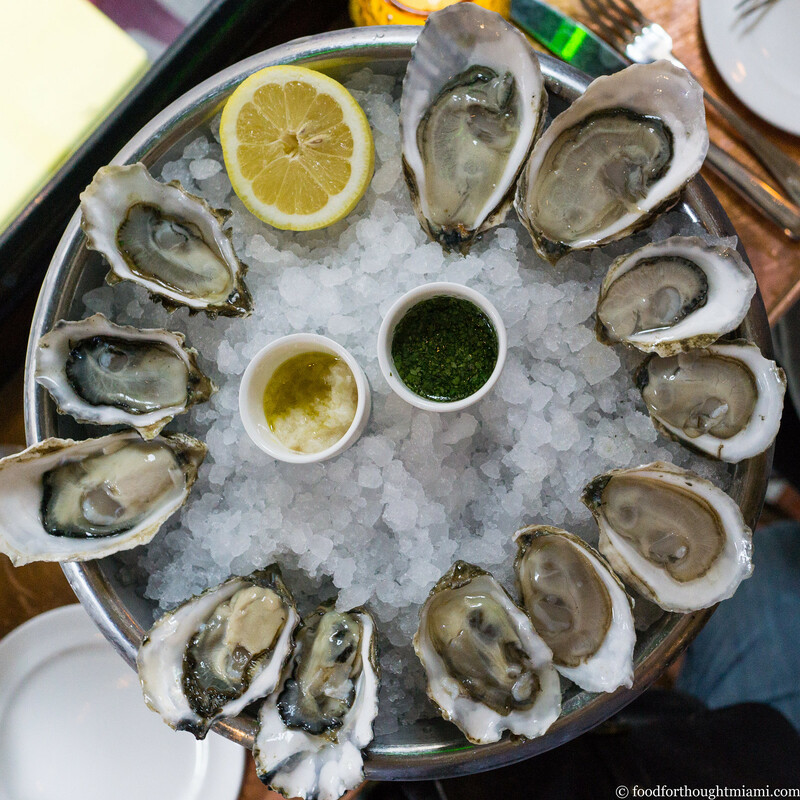 Russ and Daughters has been in that game a long time – more than a century in fact – but its recently opened sit-down café around the corner from its take-out shop on Houston Street is a new addition. There's also Mile End Deli and Black Seed Bagels and now the Torrisi / Major Food Group gang is taking appetizing upscale with Sadelle's. This is my soul food, and so I was really hoping to try one of these new places, but the wait at R&D Café was two hours by the time we got there and so I abandoned all hope of Sadelle's either. Instead, we went back to the familiar, and I got a ticket to order from the original R&D appetizing shop. I love that it's the exact same crew of fish-cutters who were there on my last visit, as if it had been a couple weeks and not a couple years. A half hour later I emerged with a stash of nova and sable bedecked bialys and bagels, which we ate on a park bench at Sara Roosevelt Park watching some guys whose trash-talking skills far exceeded their basketball abilities. Pro tip: while Russ and Daughters is rightfully known for their fish, if you also get an "Oy Vey Shmear" (a bialy topped with chopped liver and sliced pickles) and save it for a post-matinee afternoon snack, you will not be sorry. After an afternoon show ("The Curious Incident of the Dog in the Night-Time," if you're curious – and which I really enjoyed), we turned to the new (for us, anyway) again, and met up with family for dinner at one of the more recent additions to Andrew Carmellini's restaurant lineup – Little Park, in Tribeca. Carmellini's done Italian (Locanda Verde), he's done French (Lafayette), he's done "American," whatever that may be (The Dutch). Little Park is not quite as susceptible to such categorization. The menu is vegetable-centric, but there's also an excellent lamb porterhouse and wagyu steak. There are pastas, but it's not overtly Italian in any obvious sense. The food is more contemporary than traditional, but not in a gimmicky way. Yes, this is all very on-trend: vegetable based, small plates, etc. But it doesn't feel contrived: Carmellini and his chef de cuisine Min Kong are just making good food, and it's a way of eating I really enjoy these days. We started with a beet tartare. There's no tableside show of grinding the vegetable here, just a mound of the root in a fine dice, cooked to a point of yielding that actually imitates the texture of raw beef. It's brightened with fresh horseradish, served in a field of crispy rye breadcrumbs, and garnished with smoked trout roe for some depth and pop. (You can see all my pictures in this Little Park flickr set). We also had creamy grilled avocado, given extra richness by a dry aged beef fat aioli, served with thick planks of potato chips for scooping; and a clever mushroom "spaghetti" with long strands of (king oyster?) mushrooms playing the role of pasta, a soft cooked egg acting as sauce, crispy shallots adding that caramelized allium depth of flavor. Broccoli was roasted hard and charred, then bolstered with 'nduja, brightened by blood orange and lightened by slivers of fresh radish; brussel sprouts, also given a hard sear and paired with smoked parsnip and apple cider, were less memorable. This being a Carmellini place, you can expect good pastas, and your expectations will be met and then some. The green spaghetti with crunchy walnuts, creamy ricotta and wispy fennel tops was delicious, as was the lumache with a soft, savory pork ragu, slivers of salumi and crisp fried herbs. 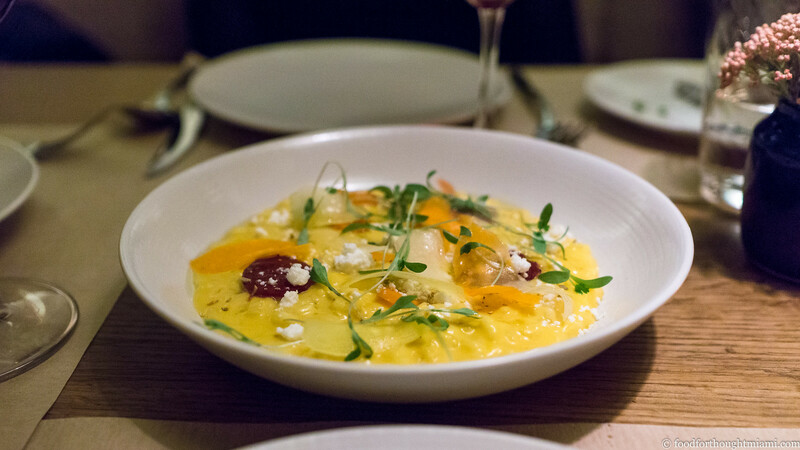 But I was particularly smitten with the carrot risotto, whose bright orange hues were matched by the brightness of its flavors: wisps of raw carrot contrasting against those cooked into the risotto, the zip of fresh citrus, a scatter of tangy feta cheese, a mysterious whiff of coriander. The kitchen sent out a few desserts for us which were all excellent: soft scoops of Meyer lemon fluff paired with blood orange sorbet, fresh blood orange and candied ginger was a meditation on late winter citrus; a dark chocolate rum cake with coffee ice cream and candied kumquats mirrored the complex roasty, fruity flavors of good cacao; a chamomile and honey panna cotta was like a perfect cup of tea in dessert form. I had something of a challenge lined up for another family get-together the next day: we needed to find a place that would take a reservation for a dozen people – on Easter Sunday – that would please both adults and children of various ages. 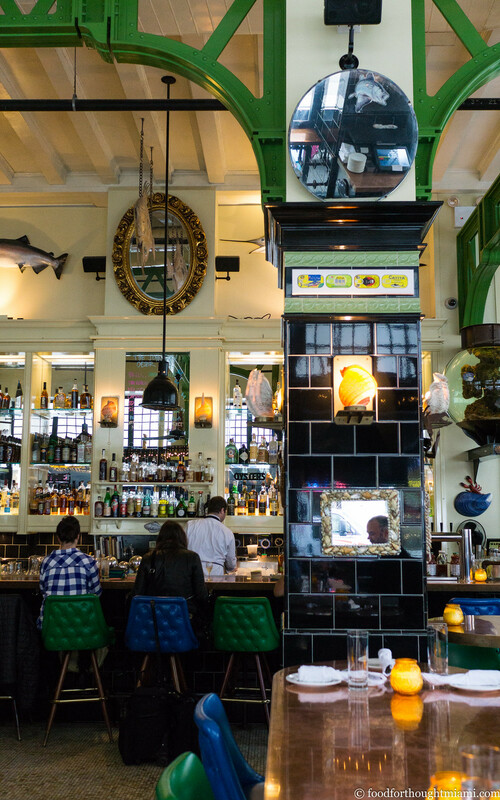 I scoured OpenTable and scored: there was a noon spot open at Má Pêche. 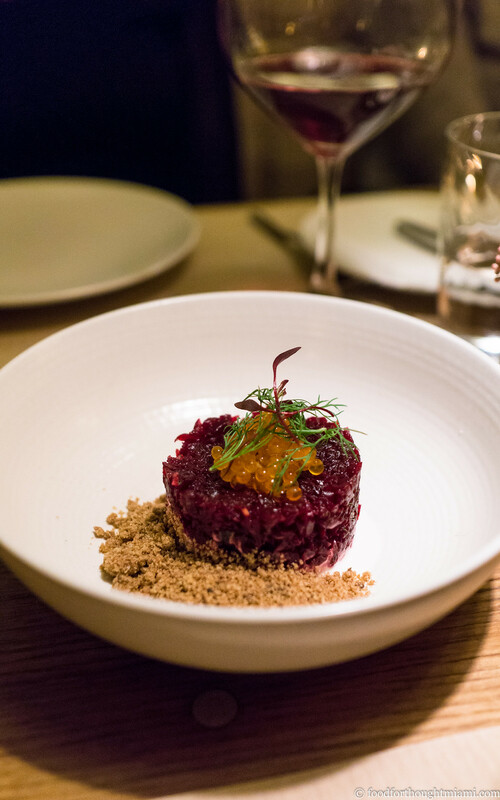 I'd paid an earlier solo visit a couple years ago and had a nice enough meal but wasn't exactly blown away: something about it feels like Momofuku Lite, though several dishes – a broccoli salad with sunflower seed hozon, those spicy rice cakes with pork ragu in particular – were very good. For our present needs, though, it worked perfectly. (You can see all my pictures in this Má Pêche flickr set). 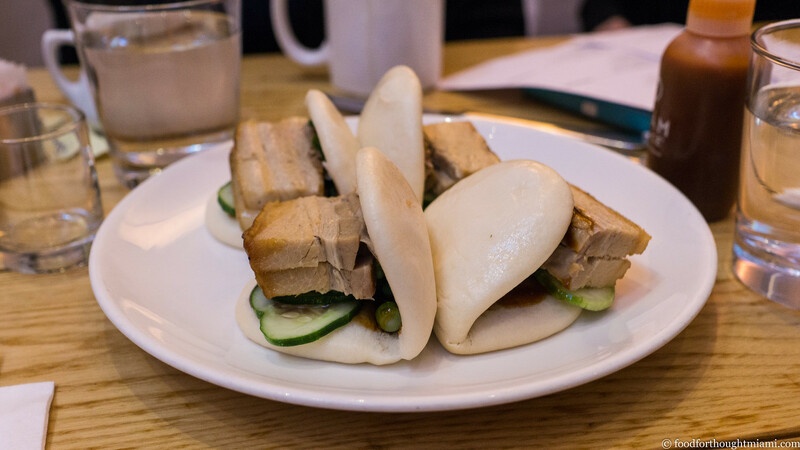 So we had those famous buns, stacked with pork belly and slivered cucumber and swiped with hoisin sauce. We also had buns stuffed with egg, American cheese and maple bacon, which were like an Egg McMuffin on steroids. 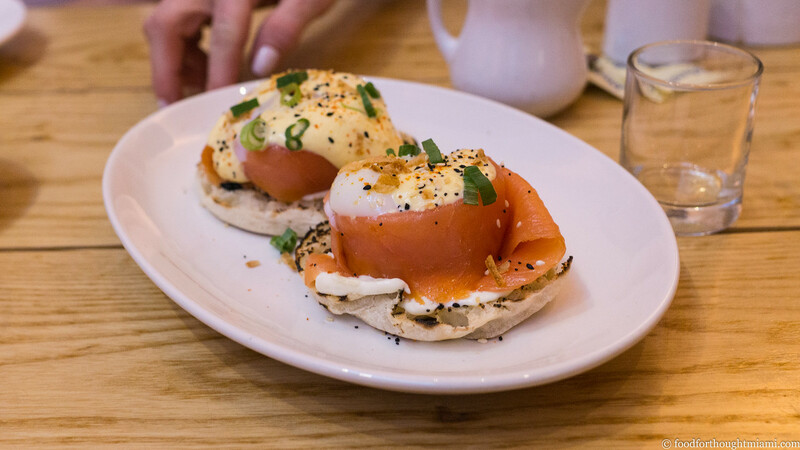 A curled ribbon of smoked salmon wrapped around a runny slow-cooked egg, perched on an English muffin, and showered with everything spice, was a cross between a benedict and a bagel. The ubiquitous avocado toast was taken in an unorthodox Southeast Asian direction with green papaya salad and toasted peanuts. Fat slabs of brioche french toast with apples and whipped cream pleased the little ones among us. A sort of dim-sum style service with smaller dishes brought around on trays let us add a smoked trout dip with chicharrones for scooping, and a creamy chicken liver mousse capped by a sweet-tart fruit compote. 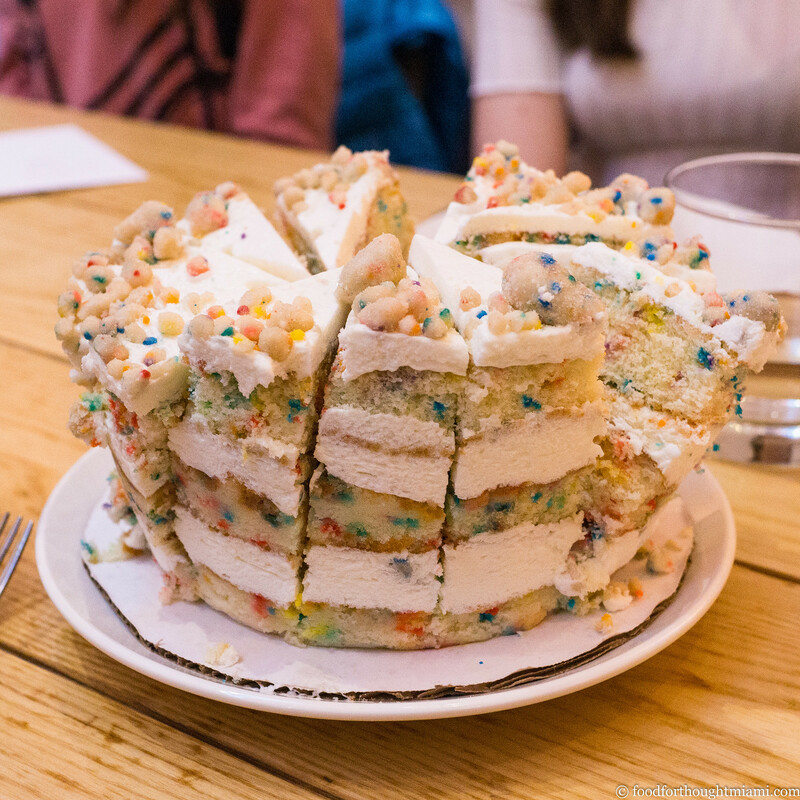 The impetus for this trip was Little Miss F's birthday, and so we closed out in style with a birthday cake from Milk Bar, which was over-the-top, probably way too sweet and sugary, and yet entirely goofy and delightful. 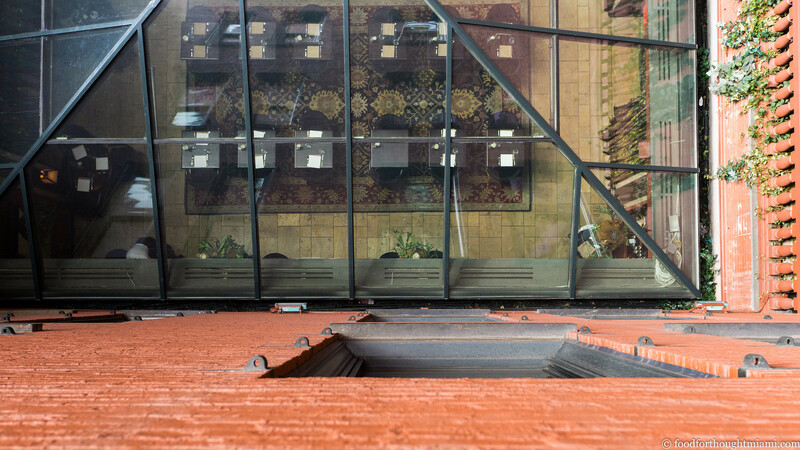 We made only a small dent in my NYC "to-do" list, but there's always next time. Another perk of staying there is that hotel guests have access to the gorgeous Library Room in the evenings, an ideal place for a nightcap and a little dessert. If that seems like a big "snack," in my defense there were three of us: this was supposed to be a girls' trip with Mrs. F taking Little Miss F and a friend to NYC, but the friend backed out and dad got to tag along instead. Fans of "The League" will see "John Daley" and invariably think of this. Alan Richman dubbed him "Sushi Bro." Chef Daley doesn't allow pictures during dinner service (pics are OK at lunch), though he actually did let me sneak a few with the iPhone before other diners arrived. You'll find one on instagram though they're not worth re-posting here. I ate it guiltily rather than declining to do so - it's omakase, and this one is already gone.